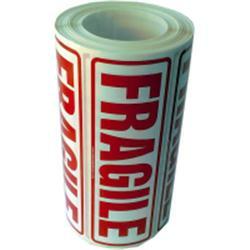 Trade warning labels in rolls of 500 printed on a choice of paper or high quality plastic tear resistant material, polypropylene pp. 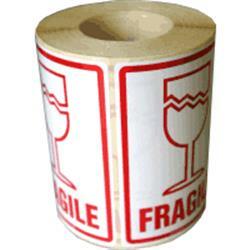 These warning labels are on rolls of 500 fragile, this-way-up or handle-with-care labels ready to collect from our showroom in Birmingham or dispatched with a next working day courier service. 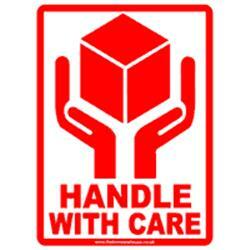 Our plastic polyprop trade warning labels are designed to be tear resistant and even water resistant, less likely to peal off in the warehouse while storing goods or while being delivered to your customer.